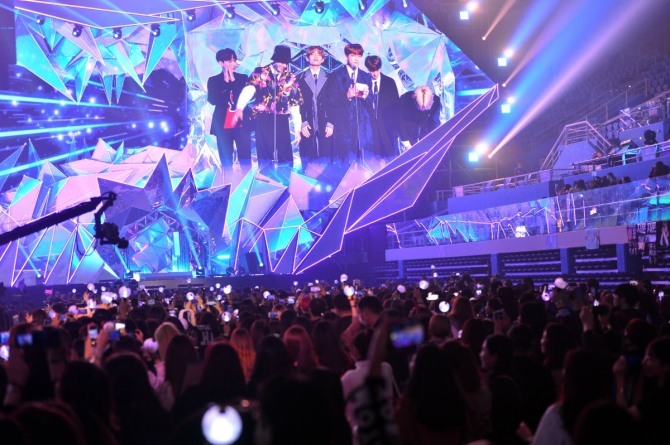 Rep. Ahn Min-seok of the ruling Democratic Party said Wednesday that a special committee within the party intends to arrange for South Korean boy band BTS to perform in Pyongyang in 2019. The committee, launched Oct. 24 to facilitate sports and cultural exchanges between the two Koreas, is working toward jointly hosted Olympic Games in 2032. Speaking to KBS Radio 1, Ahn reiterated the committee’s goal of “a cultural unification” of the peninsula, saying he believed that hosting the Summer Games together would be a key stepping stone. His remarks follow the revelation on Monday by Unification Minister Cho Myoung-gyon that BTS content is circulating among young people in North Korea. Cho was speaking at a plenary session of the National Assembly's budget committee. Ahn visited Pyongyang on Oct. 4 as the chair of a committee on education, culture, sports and tourism.